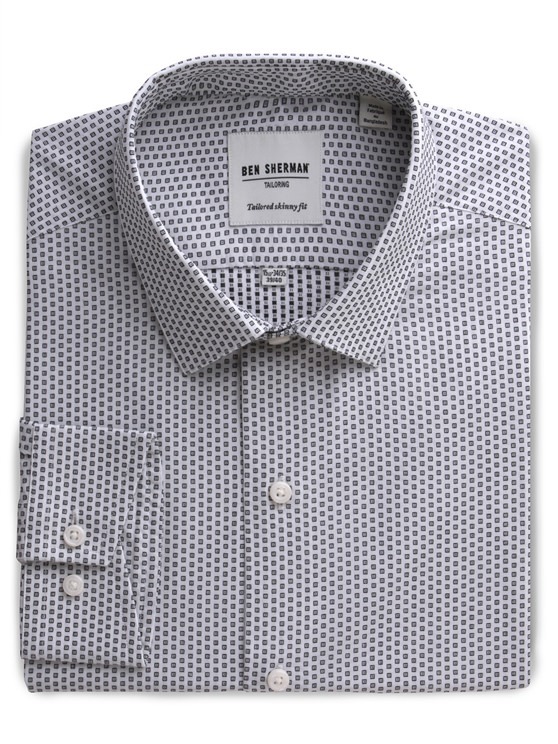 Cut in a skinny fit and featuring a subtle geometric square print this formal shirt is the ultimate in sartorial style. 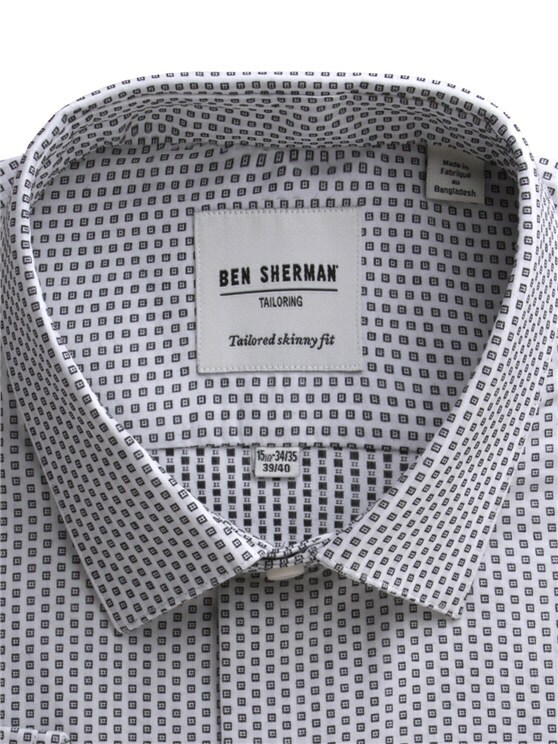 Understated styling features include a classic forward point collar and unique cutaway cuffs. 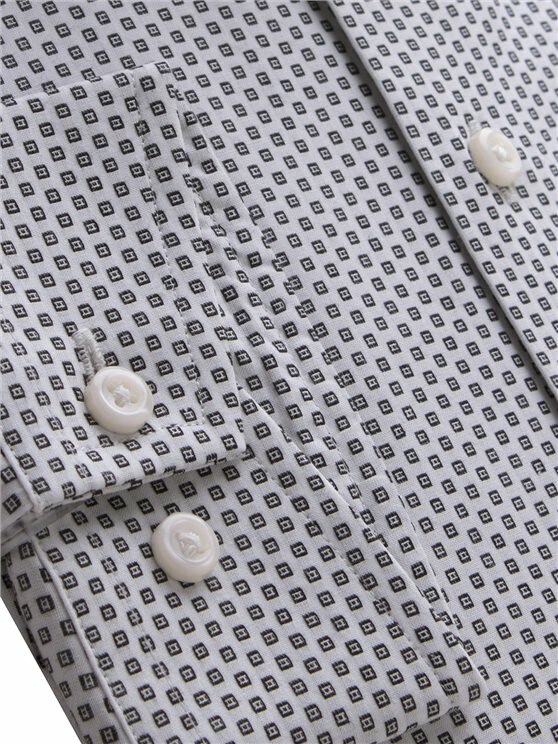 The perfect shirt for the office or any formal occasion.
" 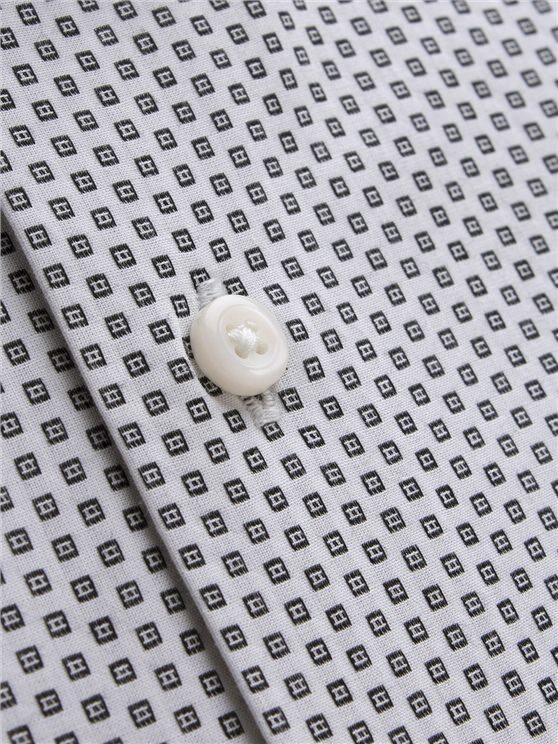 Great quality and good description of the size means I wonâ€™t have to return for it "